366 pages | 151 B/W Illus. Depression affects many people at some point in their lives. Fortunately, we now know that by changing certain thoughts and behaviour patterns you can greatly improve how you feel. 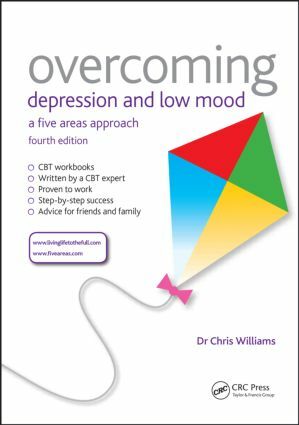 Overcoming Depression and Low Mood: A Five Areas Approach explains how low mood can affect your life. It helps you understand why you sometimes feel low, anxious, angry, or guilty. It also teaches proven practical skills to help you change how you feel. By using the clearly described practical tools inside, you can make helpful changes to your life. Ultimately, the hope is that this book will help you to regain a sense of control over how you feel. The bookis based on a cognitive behavioural therapy approach. The developers of this approach found many effective ways of tackling common symptoms and problems people face when feeling low. The course can make a big difference if you can commit to using it. Having someone else to encourage you is also important. Interactive questions and worksheets, which are a key feature of the series, are plentiful in this new edition. An award-winning companion website, www.livinglifetothefull.com, includes additional support materials and information. Information for Families and Friends – How Can You Offer the Best Support? Chris Williams is a professor of psychosocial psychiatry and honorary consultant psychiatrist at the University of Glasgow, UK. His main clinical and research interest is in the evaluation of self-help approaches that provide wider access to cognitive behavioural therapy (CBT) approaches. Dr. Williams developed the Five AreasTM approach, and his books and resources are used nationally in the UK through NHS Direct, NHS Choices and NHS24 and internationally in a series of major projects.